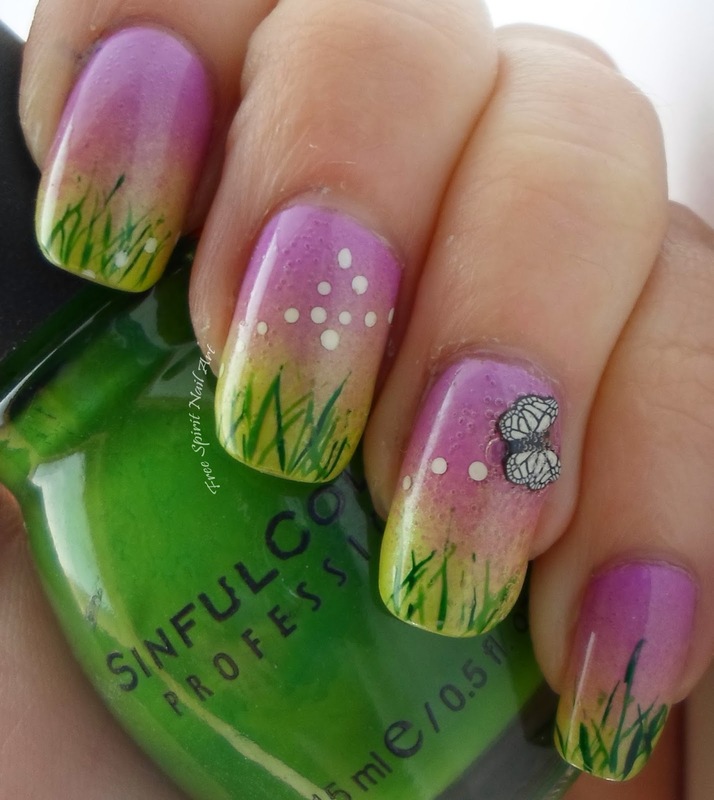 Hello my fellow nail art enthusiasts! 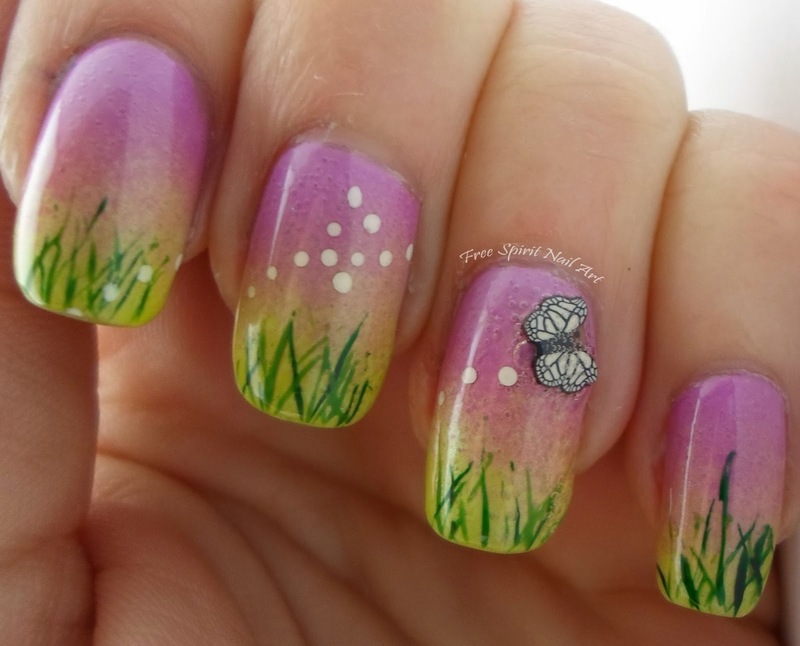 Today I'm sharing with you my 3d butterfly mani. 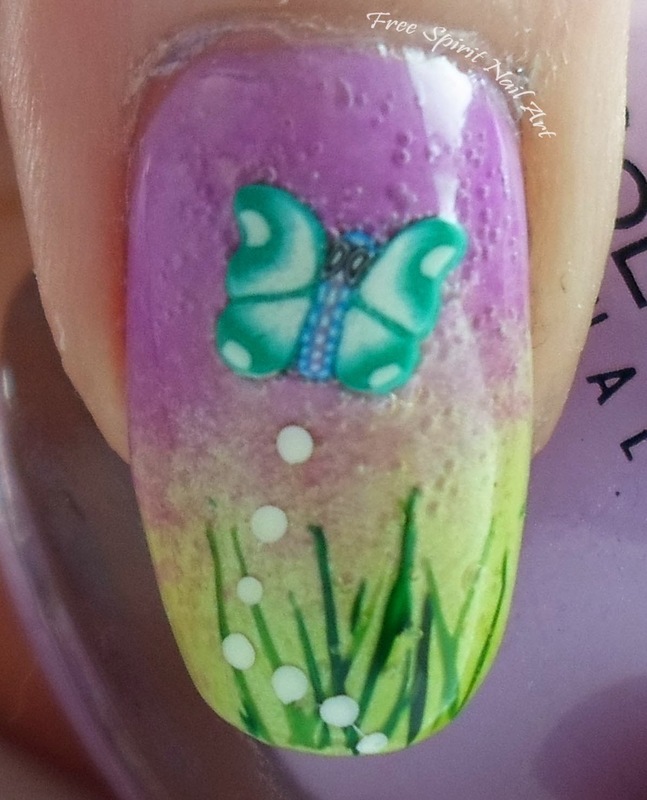 The butterfly is sculpted from polymer clay and affixed with a clear coat of nail polish. 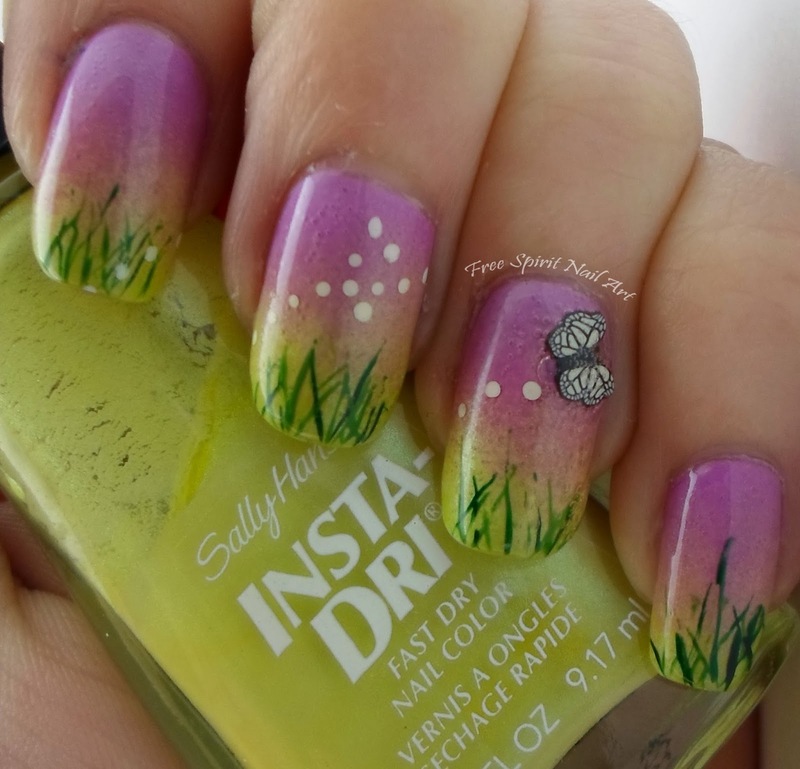 I wish I could take credit for making them but I got them at one of my local nail supply shops. 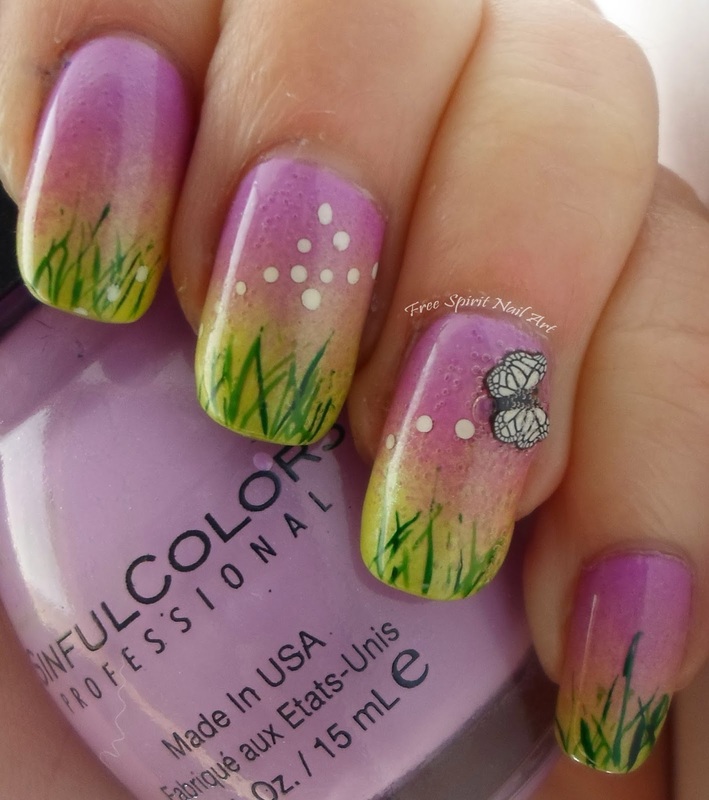 I used Sinful Colors Snow Me White for the dots and acrylic paint for the grass. I did end up with horrible bubbling once I put my top coat on, which is completely my fault for not allowing it proper dry time before applying my top coat. Well, I guess lesson learned, be more patient! I do have more non bubbling mani's to share so check back soon!